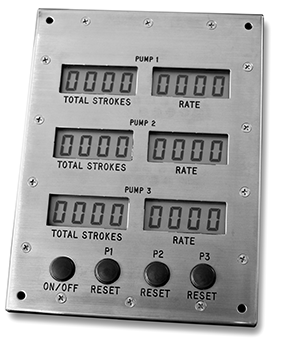 The BC101 Barrel Counter is a 1 pump stroke counter that can also monitor fluid rate and accumulated total barrels. 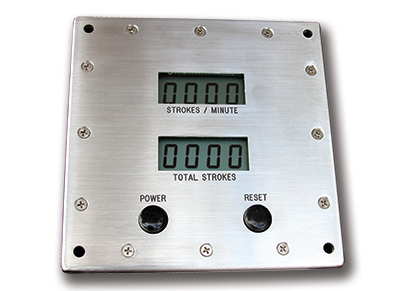 It has 2 modes, SP mode for showing total strokes and rate per minute and BP mode that shows total barrels and barrels per minute. 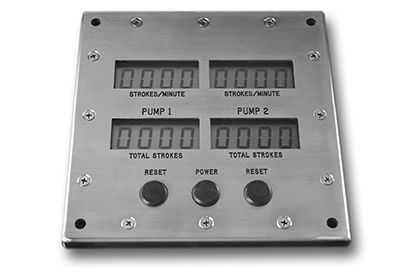 The unit can be calibrated for "strokes per barrel". Zero button to zero total strokes. Set BPM button used to calibrate and toggle between modes. Can be used for barrels, gallons, liters, etc. Copyright 2013 WG INDUSTRIES INC.